Wezzie Banda (World Vision Malawi) speaks to Dennis Garrity, United Nations (UN) Drylands Ambassador and Senior Fellow at the World Agro forestry Centre on the first day of the Beating Famine conference. TALKING ABOUT LAND CONSERVATION AND NATURAL TREE REGENERATION, HOW DO YOU THINK CHILDREN CAN BENEFIT AND BE A PART OF THIS INITIATIVE? That is an excellent question because the practice that many farmers in Malawi are adopting called natural tree regeneration is something that children can do very easily. It doesn’t cost any money; they can simply identify good and useful natural trees that come up in the fields naturally and both adults and children can manage them into fully grown trees. It makes agro forestry in Malawi so easy. It’s happening all over the country. 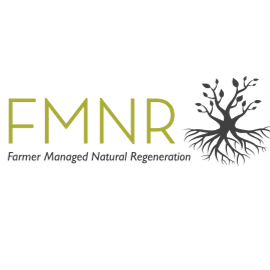 As we are talking right now, there are examples of farmer managed natural regeneration from north to south. But, your point about the children is that they can contribute to this because children can actually do this themselves for the benefit of their families and communities. That means involving children in schools as a part of our vision for FMNR. YOU ARE AN AMBASSADOR OF DRY LANDS. HOW DO YOU THINK MALAWI AS A COUNTRY CAN BENEFIT FROM YOUR EXPERTISE? Malawi is actually considered to be partly a dry land situation; you know farming in Malawi is rain-fed and rainfall only occurs for a few months of the year. This year as you know, Malawi is experiencing a very serious drought because the rains stopped at the middle of the growing season and that really hurt the nation. So, although Malawi is not considered a desert; it’s not considered to be a very dry place, it is still classified as semi-dry because in fact it is dry most of the time of the year. So as a Drylands ambassador, my work is to help to spread the solutions, the experiences of countries that are copying with dry conditions and climate proofing agriculture around the continent. HOW ARE YOU GOING TO MAKE SURE THAT THE DELIBERATIONS AND RECOMMENDATIONS OF THIS CONFERENCE BENEFIT THE COMMON FARMERS? Well, what we have been doing is talking to hundreds and hundreds of delegates who themselves are influential in their own fields and countries and their own organizations to realize that the real issue is about the poor farmers and farming families. That is where the whole attention should be focused. Because when you make agriculture work in a country of small holder farmers, everything works better. Money in farmers’ pockets, buys goods, stimulates industry and creates economic growth and there are so many countries where that has happened and I am happy to say Malawi is getting along the path moving into that direction. But we want to focus every attention on the people who are called the children of the land, the people who live in those small farms and if we can help them gradually improve their situation, educate their children and creating a changed generation; Malawi will in fact see a brighter future.